The worldwide market for Duroscope is expected to grow at a CAGR of roughly over the next five years, will reach million US$ in 2023, from million US$ in 2017, according to a new GIR (Global Info Research) study. 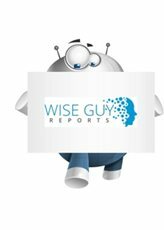 This report focuses on the Duroscope in global market, especially in North America, Europe and Asia-Pacific, South America, Middle East and Africa. This report categorizes the market based on manufacturers, regions, type and application.